The stock rally is back. And so is investor optimism. According to CNN’s Fear & Greed Index, market sentiment has now reached “Greed” levels after several months in the “Extreme Fear” range. It’s another sign that it’s time to take a serious look at the opportunities that lie in the market today. Among the strongest stocks to rebound have been technology stocks, which were some of the biggest victims of the recent correction after years of above-average performance. High volatility cuts both ways. Stocks with great momentum moving up often have harsher pullbacks on the way down. That’s why I’m closely monitoring what investment opportunities can be found in the information technology (IT) sector right now. Take blue chip IT juggernaut International Business Machines (NYSE: IBM) as an example. Few companies have made as many contributions to the advances of the computer age as IBM – which has been around for more than a century. So it’s no surprise that IBM is at the forefront of the next great technological revolution: artificial intelligence. Even now, technologies that utilize AI are already churning out profits for IBM. 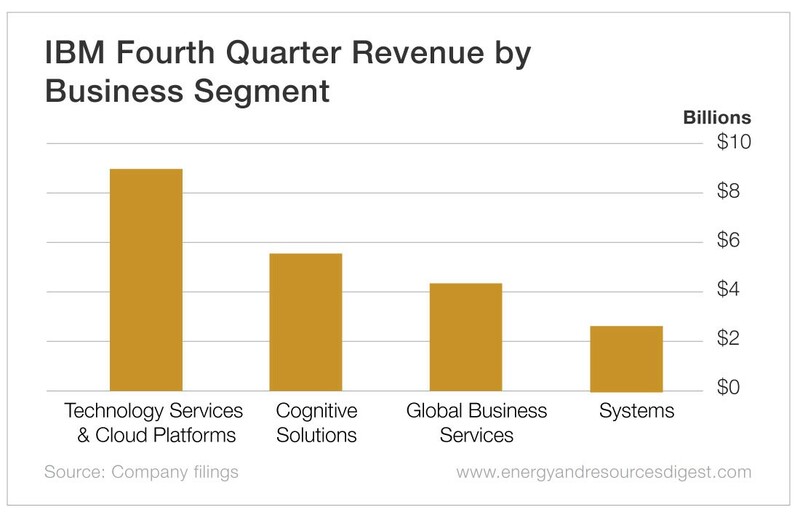 IBM’s largest revenue source is its technology services and cloud platforms segment, bringing in nearly $9 billion in revenue last quarter. But its second-largest segment – Cognitive Solutions – is certainly one to watch. This includes its AI-based technologies, like IBM Watson, which apply machine learning to big data analytics. The application of these technologies is far-reaching and can touch many sectors of the market – from healthcare data management to manufacturing logistics. Last quarter, IBM’s cognitive solutions segment brought in $5.5 billion in revenue – about 25% of the company’s total sales for the quarter – with positive year-over-year growth. Historically, the fourth quarter is IBM’s strongest. 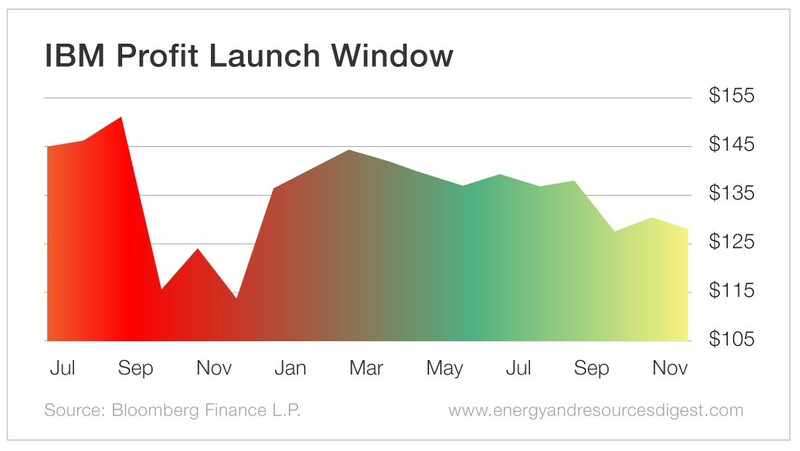 And earnings get reported in January. It’s the cyclical period in a stock’s price history that produces the strongest returns. Identifying these trends is one of the ways Matthew helps subscribers of his Dynamic Fortunes trading service capture huge, market-beating gains. IBM shares typically perform best between December and March, based on data from the past five years. This has proven to be a reliable period to capture quick gains on the stock. So could shares fly higher again? It certainly looks that way. IBM is already enjoying a broad market rally off the lows reached in December. In fact, while the S&P 500 is up about 5%, shares of IBM are up more than 16%. As a great blue chip in technology – as well as a smart way to play the booming AI industry – IBM is looking like a fantastic buy right now. Even its valuation is looking cheap, with price-to-earnings and price-to-sales ratios below the industry average. My advice? Keep IBM on your watch list. 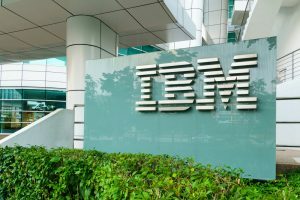 The post IBM Rated Buy appeared first on Energy and Resources Digest. previousMirror, Mirror, on the Wall, Which Nation Has the Biggest Welfare State of All?